This beautiful magnet affixes instantly to the front of your metal dishwasher giving it a custom decorator look. 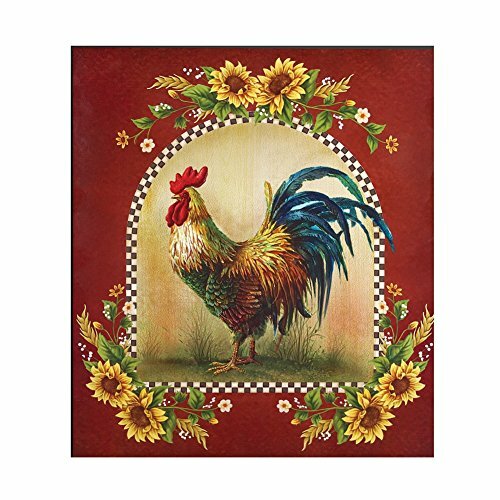 The lovely design features a charming country scene with a colorful rooster, checked border and sunflower accents. Wipes clean with a dry cloth. Not for use on stainless steel. Magnet. Measures 23"W x 26"H.